Crooked Fence Farm is a diversified farm rooted in stewardship of land and our community. We grow "field to belly" food that is unique, healthy, and delicious. Our growing practices maintain a holistic balance with the local and regional ecosystem. Crooked Fence Farm nurtures social connections, relationships with land and animals, and a balanced lifestyle for our family and workers. Billy is a Baltimore native who grew up with a love of nature and the outdoors. After a career in international philanthropy, Billy decided to pursue a life in sustainable agriculture. 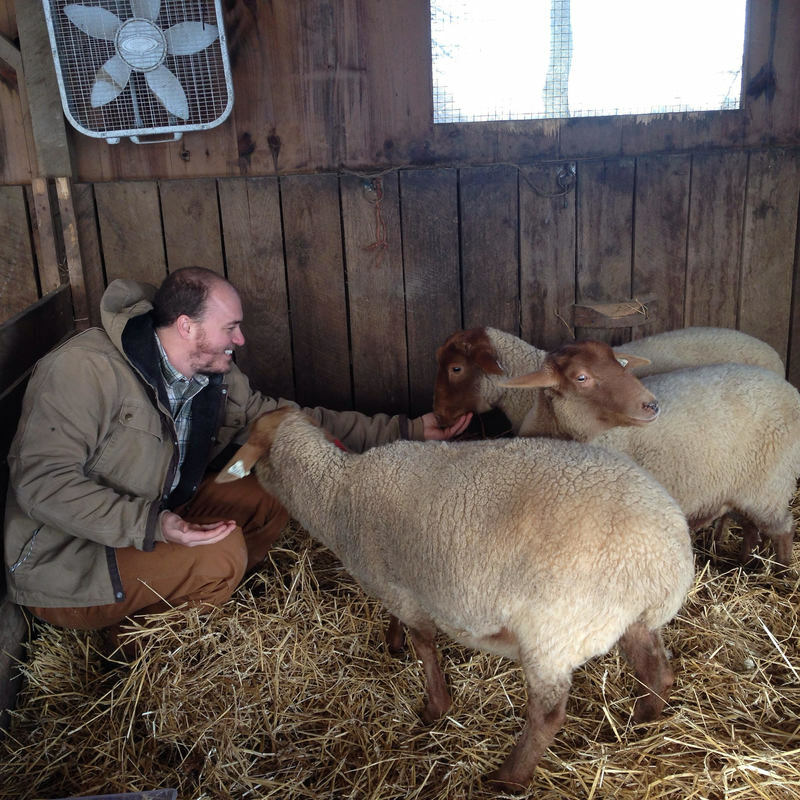 In 2013, he was a livestock apprentice at the Stone Barns Center for Food and Agriculture in Tarrytown, NY. He then worked as an assistant farmer at two different small farms in the Hudson Valley. Billy is a co-founder of Crooked Fence Farm. He enjoys cooking, knitting, weightlifting, and writing songs on his Ukulele. Sarah was born and raised in Pittsburgh, PA. She pursued a successful career as a pastry chef in southern California, and then decided to earn her BA in Environmental Studies with an emphasis in Sustainable Food Studies at Chatham University. This immersion in the science and study of our food system led Sarah to small scale, ecologically sensitive agriculture. 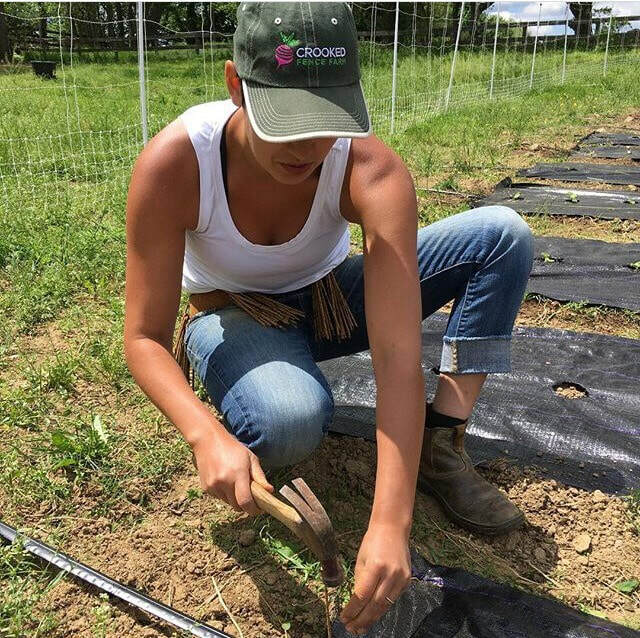 She has farmed in Pittsburgh and the Hudson Valley, and also handled operations for two farmers cooperatives. Sarah is a co-founder of Crooked Fence Farm. She is a passionate swimmer, cyclist, and yoga instructor/practitioner. She enjoys cooking, meeting new friends, and grooving to her extensive funk and soul record collection.